Take a moment and give back to the community this Thanksgiving. Read on below for organizations across San Francisco and the Bay Area in need of volunteers to help spread food and warmth to those less fortunate. Know of another volunteering opportunity for Thanksgiving 2018? Let us know! San Francisco City Impact is reaching out to the Tenderloin Community with a Thanksgiving Day Block Party that aims to deliver 7,000 hot meals to homes, serve 300 a sit-down Thanksgiving dinner, and deliver 500 grocery bags. Volunteer to help spread holiday cheer at the annual holiday SPCA pop-up adoption center at Macy’s. Although the adoption center is closed on Thanksgiving and Christmas day, it’s open every other day for the holidays. 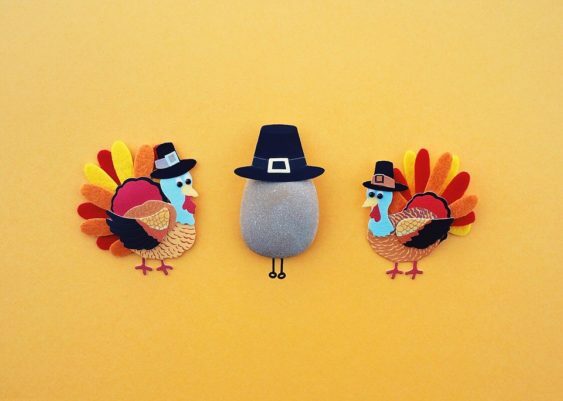 Put on your apron and come to GLIDE to help chop, dice, mix and slice in preparation for their Annual Thanksgiving Day dinner or come serve thousands complete Thanksgiving meals with all the fixings to individuals and families. Then keep the holiday spirit going the day after Thanksgiving by helping serve breakfast. Help deliver Thanksgiving Day meals to 4,000 home-bound individuals. Drivers must provide their own vehicle and bring along at least one passenger. Shifts take no more than 3 hours each. All deliveries occur within San Francisco. On-site that morning you will receive an orientation, refreshments, a route sheet (who to deliver to), map (directions how to get there) and meals. Make a difference in an elder’s day by providing much needed companionship this holiday season. Visit an elder who would otherwise spend the holiday alone and cheer them up with a a gift bag and flowers. Visits last about an hour. You may volunteer as an individual, a pair, or a group of up to 3 people. Help bring food to 2,500+ local seniors on Thanksgiving day by delivering hot turkey dinners. Shifts run between 8 am and noon on Thanksgiving Day. Join Project Open Hand this Thanksgiving in providing meals with love to our sick and elderly neighbors. During the week of Thanksgiving, volunteers will help prepare, assemble, and distribute 2,500 nutritious meals and nearly 200 bags of healthy groceries each day. Other ways to volunteer? 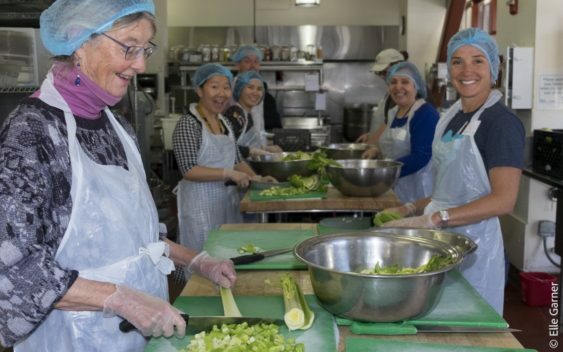 Please note that other charities often have volunteering opportunities around Thanksgiving but we haven’t been able to confirm them yet for 2018 including San Francisco Food Bank.